Here we are at the end of 2015, a time for making resolutions and doing new things. This edition of The Great Food Search is dedicated to restaurants that have made changes in 2015. I’ve already featured the $25,000 makeover at Kikku Japanese Food in downtown Fresno, but I have some more transformed eateries to share with you. 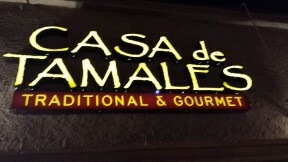 Casa de Tamales—609 E. Olive Ave., Ste. C, Fresno, 559-541-4656. I first met Liz Sanchez and her tamale cart at the Valley Animal Center Christmas Fair. I was bowled over by the flavors and the sauces/salsas. 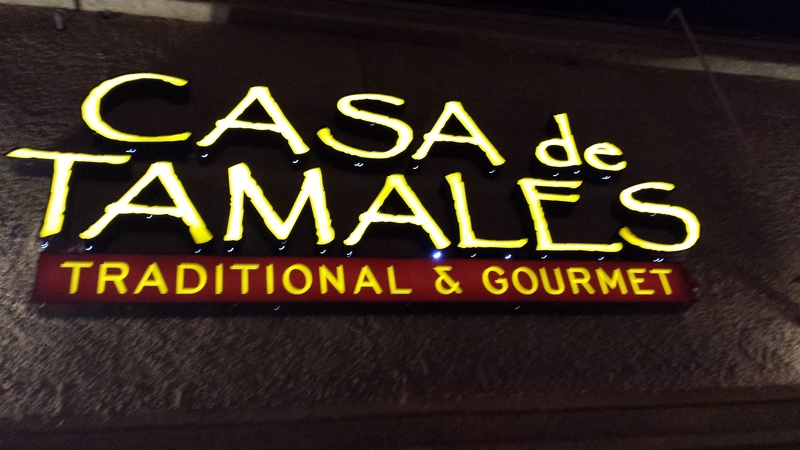 Casa de Tamales was out on West Shaw, then, and I could never find it. In 2015, she moved her operations to the Tower District (the former location of Charlotte’s Bakery) and added a beer and wine bar. Her grandmother was a master of masa, owning a tortilla factory for a decade, and Sanchez has joined Old World skills with New Age flavors. The Blueberry Cream Cheese tamales are actually blue-ish, and wonderfully sweet. The Sweet Corn tamales, another dessert-style offering, are delectable and tender. Chicken, pork, shredded beef: meaty and tasty, with sauces that bring out the subtle flavors and add to them. Chicken or pork, the tamales are great at Casa de Tamales! 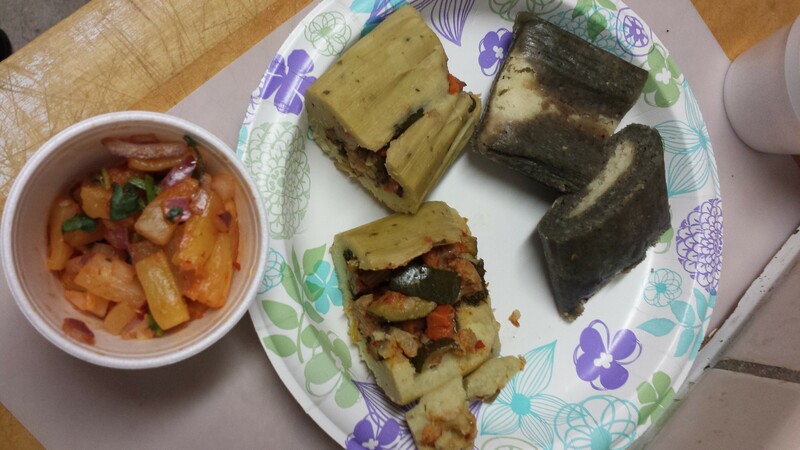 I’m not vegetarian or vegan, but my favorite tamales are the Farmer’s Market (filled with all sorts of veggies and topped with a Tomatillo Sauce) and the Spinach & Artichoke (in a red chili masa with a vegan sauce). They have a friendly bite that wakes you up and gives your mouth something to make it smile. Blueberry and Cream Cheese, how sweet it is! Farmers Market, it’s vegetablicious! 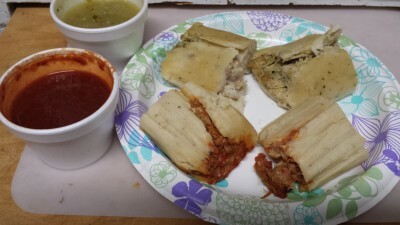 Individual tamales are $3, half-dozens are $16, and a dozen is $26. Rice & Bean combos are $6 with one tamale, and $8 with two. The rice is piquant, and the beans are real beans, not refried mush. Liz and her staff are justly proud of their food and eager to please. If there is any problem with your order or the food, tell them, and they will do anything they can to make it right. Sofia’s California Cuisine—1028 N St., Sanger, 559-399-3523. I’ve written about Sofia’s before, but there has been a pleasant change; after an absence to build the clientele for the lunches and dinners, breakfasts have returned. Whether you want a basic Ham and Eggs ($8.99) or Huevos Sonora Style ($9.99), there is something that will start your day in the best possible way. If you want to go happy, try Fred’s Home Style Breakfast ($9.49): three eggs, homestyle potatoes (with a salsa touch), ham (of generous size and thickness), and buttermilk biscuits topped with a wondrous gravy that proudly bears its sausage heritage (It’s like a down pillow, without the feathers). Two people ate for three days on one serving. 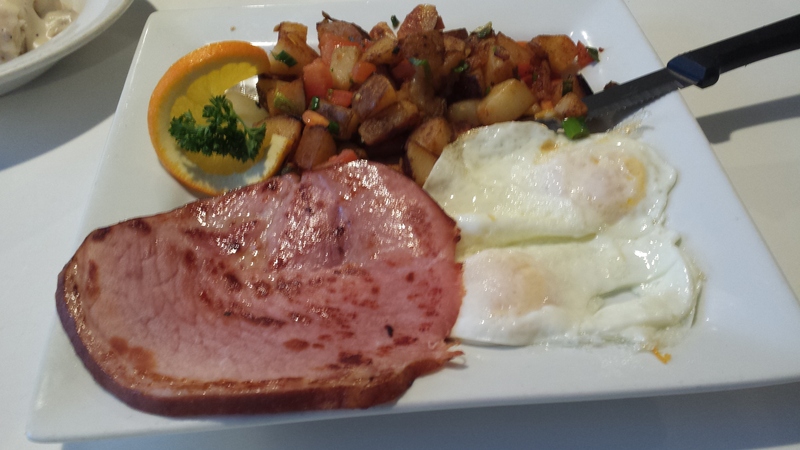 This is the rest of Fred’s Home Style Breakfast at Sofia’s California Cuisine in Sanger. Sofia’s serves some of the best hot chocolate you will find in this Valley, the omelets will have you meditating “Ommmmm” in joy, and the specials at Sofia’s are worthy of the word. You’ll be treated to new dishes, old favorites tweaked in delicious ways, culinary surprises, and unexpected bargains. 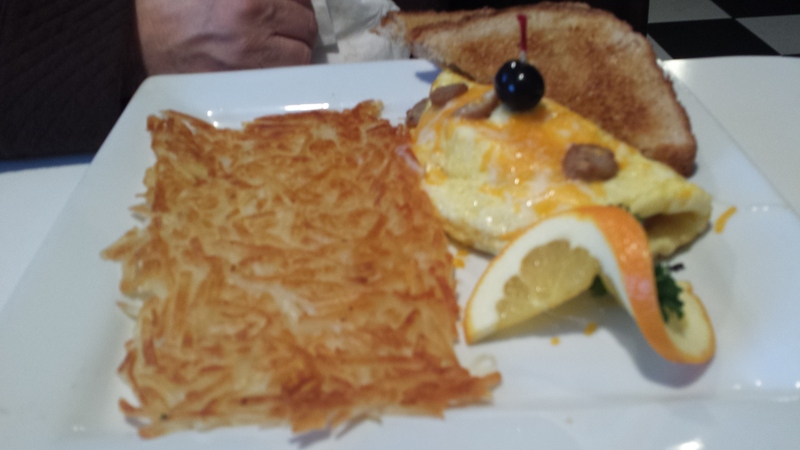 This may look like an ordinary Sausage Omelet and Hash Browns at Sofia’s in Sanger, but my wife says this is the best she has ever tasted! Sofia’s is on Christmas vacation, so they can remember what it’s like to be a family, but they will reopen in the new year. Make a resolution for 2016 to try something different when you go out to eat. Choose a restaurant that has been featured in The Great Food Search, or go exploring on your own. If you find a place worth discovering, let me know. I want to spread the good food news, too.